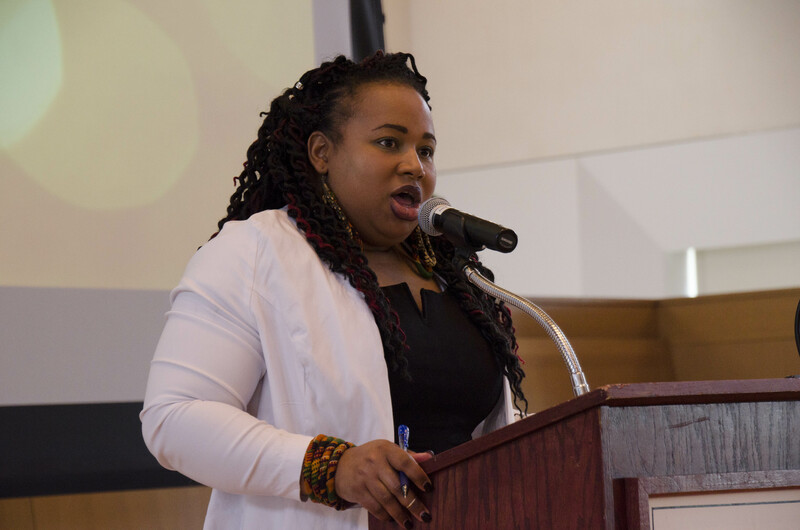 Seven students, an alumna, and a special faculty member were honored on Sunday for their championing of diversity and social justice as part of the sixth annual Edgar Beckham Awards. The honorees were selected from a pool of over three dozen nominees for their exemplary work on campus. 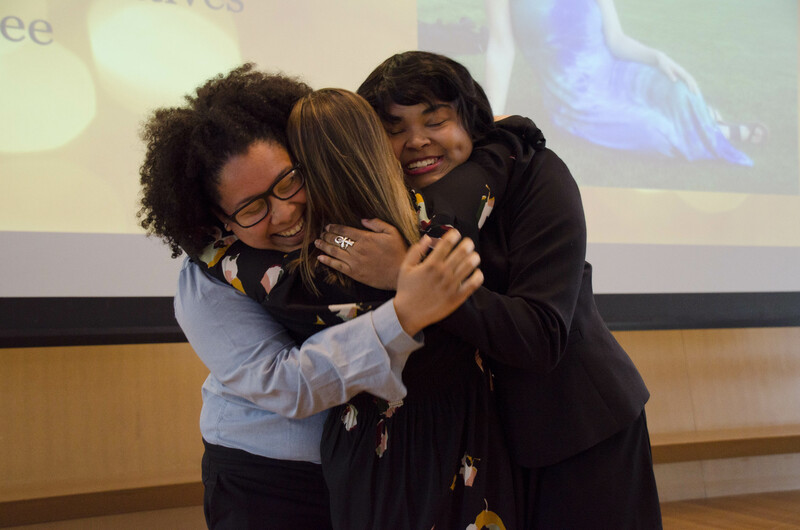 The nine chosen recipients were Rachel Kaly ’17 (Excellence in the Arts), Melisa Olgun ’20 (Foot in the Door Award), Belén Rodriguez ’19 (Excellence in Environment Justice), Lydia Ottaviano ’17 (Excellence in Community Partnership), Sallomé Hralima ’02 (Alumni Achievement Award), Tracey Stanley (Faculty/Staff Excellence Award), Kati Young ’19 (Excellence in the Sciences), Sara Wallace-Lee ’18 (Campus Inspiration Award), and Rebecca Hutman ’17 (Senior Legacy Award). Along with the attendees, the honorees were treated to a three-course meal during the ceremony, which created a formal yet friendly atmosphere. Winners sat with their families and friends, cheering on those presented with the other eight awards. The ceremony opened with a welcome from the planning committee, chaired by Khephren Spigner ’18. Before accepting their awards, recipients were individually introduced by the person who nominated them. Each nominator spoke to the talents of their friends or colleagues, highlighting not only the important work they do, but also the characteristics that separate them from the crowd. Young expressed similar praise when introducing Rodriguez. Later that night, Young won her own award. She began to cry as she read her speech. On a night dedicated to celebrating her, Young decided to give the spotlight to someone else, a friend whom she thanked for all of her successes. Despite all that she has accomplished, Young remained modest, acknowledging the work of the people around her instead. Humility was not unique to Young however; it seemed to be a defining characteristic of every person honored that evening. 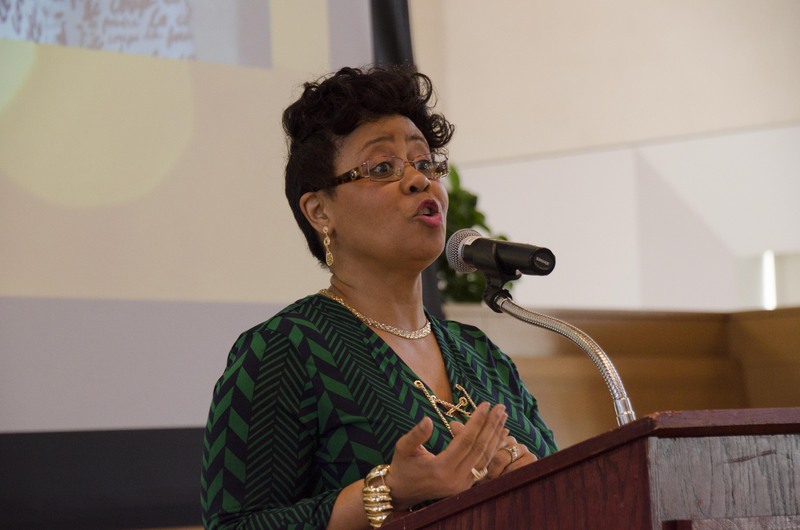 It’s a trait shared by everyone who seeks what keynote speaker and Alumni Achievement Award recipient Sallomé Hralima called self-transcendence: the commitment to be of service to those in need. The event finished with the presentation of the Senior Legacy award to WSA President Rebecca Hutman, which she received, in part, for her work on a resource center for disadvantaged minorities. After saying her thank you’s, she handed the mic once again to the planning committee, who thanked the winners and attendees. For more information about the awards, as well as a list of previous recipients, visit the Office for Equity & Inclusion online.